Resonate worked on a redesign in 2005 to overhaul the design of the WIT marketing material, and has since worked on various publications, including the Undergraduate Prospectus for incoming students. Resonate designed this infographic as part of the Undergraduate Prospectus 2014. 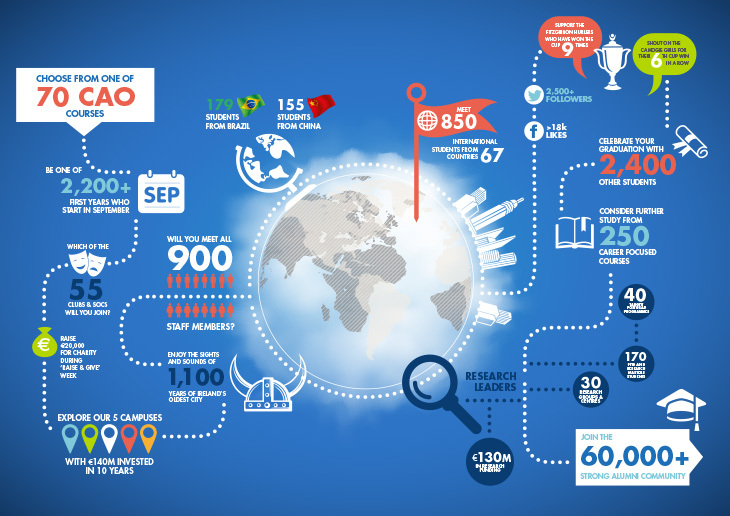 It illustrates statistics and figures from various departments and stages of the university.